Success in the Electrical Design industry can be defined as ‘Profitability by providing safe, accurate, and efficient electrical design to clients.’ Clients are won and retained by doing this for reasonable fees and by meeting their special requests in a timely and positive manner. Unfortunately, success becomes self-limiting because it all hinges on a resource that has to be purchased on a one for one basis with the provision of it…time! Time for designers, time for reviewing and signing engineers. To serve more clients and to keep them happier, time must be expended. Your design firm can thus only do so much for each client and for a limited number of clients—doing too much for each client harms your profitability and taking on too many clients exceeds your ability to properly serve them all. So that’s it then, right? You can’t beat Father Time! With DraftLogic Electrical you CAN beat Father Time. Your designer productivity will be 200% to 1300% of what it is today depending on the project type. That’s a minimum of double and possibly as much as thirteen times! See our white paper on a benchmark test we conducted for details about the calculation of the performance gains. Would you like to double your revenue? How about triple or more? How is all this possible? 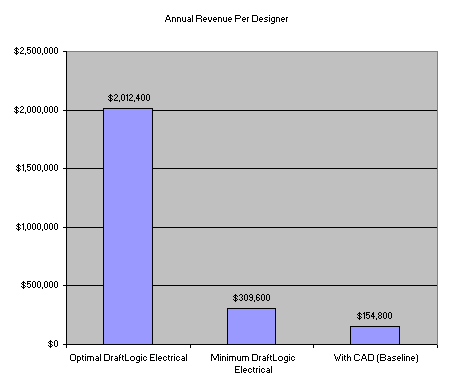 DraftLogic Electrical is an expert system build on top of AutoCAD. We have basically built an electrical designer into AutoCAD to take care of most of the repetitive tasks for you! DraftLogic Electrical accelerates project completion by automating most of the building electrical systems design phases, eliminating thousands of mouse clicks and keystrokes for the user. Since it takes only seconds of the user’s time to generate schedules, DraftLogic Electrical enables your electrical engineering firm to broaden your deliverables by including all schedules, diagrams, and reports on all jobs--even for interim deliveries. Your electrical engineering firm can thus provide clients the highest level of service regardless of job size, improving client retention and word of mouth recommendations. DraftLogic Electrical flawlessly performs your engineering calculations in the same manner and without error, again and again. No human error percentage to trip you up on your deliverables and detract from your firm’s professional reputation. Throughout the design process, the project is always a completely standard AutoCAD DWG, meaning you can share drawings with your client and the other consultants as you do now. Let us prove our solution to you. Read the DraftLogic Electrical Benchmark Whitepaper for a detailed benchmark of a project completed on AutoCAD versus the same project completed with DraftLogic Electrical enhanced AutoCAD . Click here to see our 9.5 minute quick demo on YouTube or here to see our 32 minute more complete demo. If you don't have access to YouTube (perhaps you have NoTube? ), the same HD quality videos can be downloaded from our Public Downloads page. Read detailed information about DraftLogic Electrical in our brochures and product details web pages by selecting from the pages off the 'DraftLogic Electrical' menu item at the top of this page. Read testimonials from actual users of DraftLogic Electrical. Contact us to discuss your needs and how we can help you or to arrange for a demonstration. 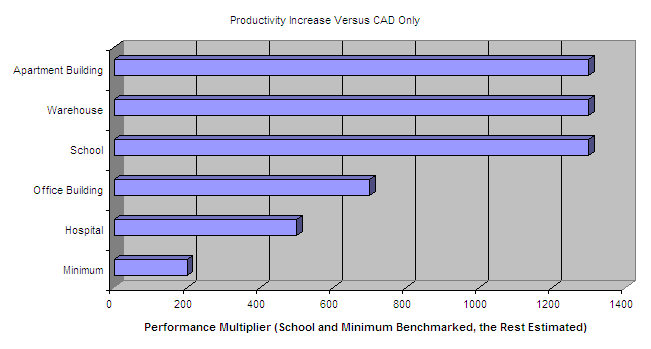 Of course, you also want to know how much the investment into improved productivity is going to be. We are happy to provide detailed pricing information at our Pricing Page and to answer some common sales related questions at our Sales FAQ page.